Amid reports of direct talks with Hamas, Gilad Erdan says decision to leave Gaza hurt Israel for years to come. 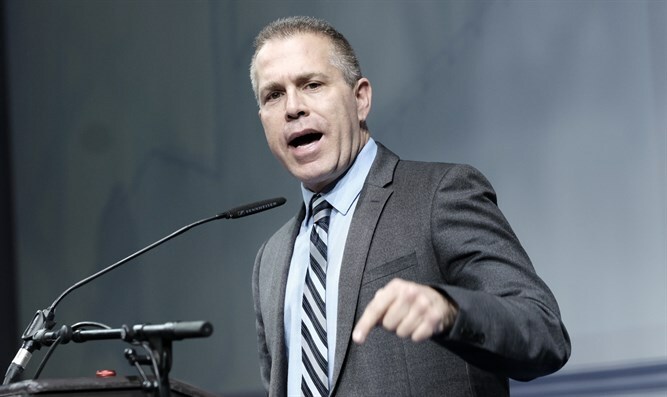 Interior Minister Gilad Erdan said that Gaza disengagement was a "historic mistake" and refused to deny reports that Israel was now negotiating directly with the Hamas terror group. "Yesterday we marked 13 years of the terrible mistake of the expulsion from Gush Katif," Erdan told Hadashot. "It's a historic mistake ... A stone thrown by fools takes a long time for the sages to deal with." As part of the 2005 disengagement from Gaza, Israel unilaterally withdrew from the Gaza Strip and parts of northern Samaria, demolishing 25 Israeli towns and removing Israel's security forces from that region. The move was spearheaded by then-Prime Minister Ariel Sharon, and involved the eviction of thousands of Israelis from 21 towns in Gaza and 4 in Samaria. Erdan notably refused to deny reports that Israel has been negotiating directly with Hamas over plans for a cease-fire and said that he did not want to invade the terror-ridden Gaza Strip. "Because of the sensitivity of the situation and the mediators involved, I do not think there is any need to report any nuance in these contacts," said Erdan. "Certainly, if we reach understandings, I expect them to be presented to the cabinet and presented transparently and then we will publicize it "
"The IDF can topple the Hamas regime, but the price will be very heavy, both for Hamas and for Israel and IDF soldiers. The main goal is quiet and security." Palestinian Authority sources had reported on Thursday afternoon that Egypt had offered Hamas and other organizations whose representatives were in Cairo the opportunity to conduct direct negotiations with an Israeli delegation for a temporary cease-fire. If accurate, it would mark the first time that Israel has openly talked with Hamas and not through a mediator.